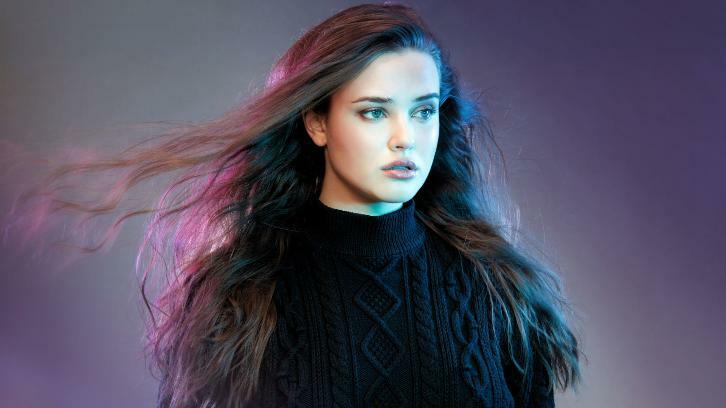 Katherine Langford (Love Simon, 13 Reasons Why) has been cast to star in Netflix's upcoming Arthurian re-imagining, Cursed. The drama hails from Frank Miller (Sin City) and Tom Wheeler (Puss In Boots). Zetna Fuentes (Ray Donovan, Jessica Jones) will direct the first two episodes and executive produce the 10-episode fantasy series based on the upcoming illustrated YA novel. Langford will play Nimue, the Lady of the Lake. Based on the upcoming book of the same name, Cursed is a re-imagining of the Arthurian legend, told through the eyes of Nimue, a teenage heroine with a mysterious gift who is destined to become the powerful (and tragic) Lady of the Lake. After her mother's death, she finds an unexpected partner in Arthur, a young mercenary, in a quest to find Merlin and deliver an ancient sword. Over the course of her journey, Nimue will become a symbol of courage and rebellion against the terrifying Red Paladins, and their complicit King Uther. Cursed is a re-imagination of the Arthurian legend, told through the eyes of Nimue (Langford), a teenage heroine with a mysterious gift who is destined to become the powerful (and tragic) Lady of the Lake. It is a coming-of-age story whose themes are familiar to our own time: the obliteration of the natural world, religious terror, senseless war, and finding the courage to lead in the face of the impossible - Deadline.